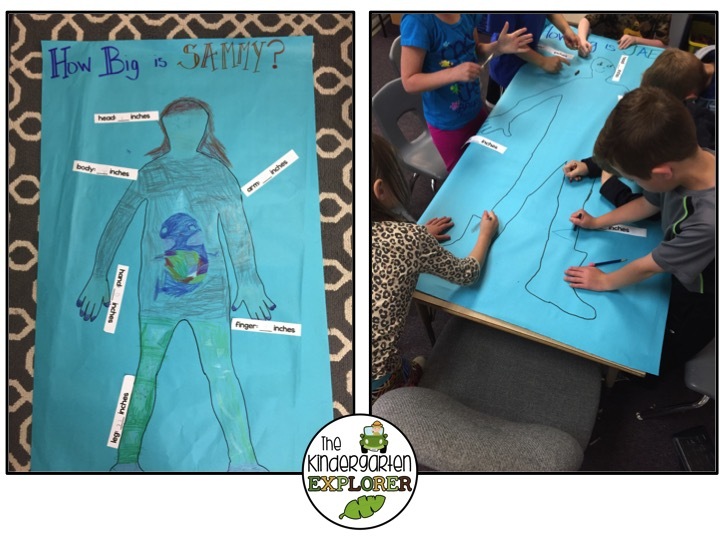 The Kindergarten Explorer: Measurement Fun! 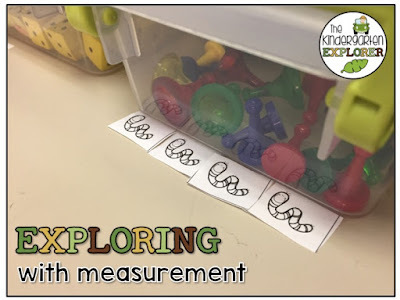 We're rocking and rolling with measurement in our classroom! I love this part of the year because math becomes so much more hands-on, and we get to have a little more fun! 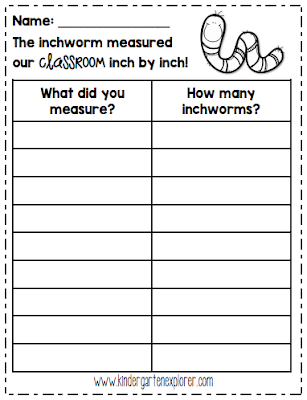 I read Inch By Inch by Leo Lionni, and then I set my kiddos free to measure some objects in the classroom using their own adorable little inchworms. Nonstandard measurement at its cutest! 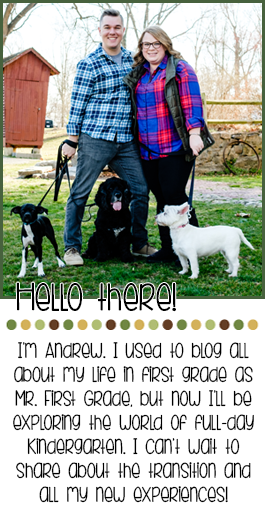 Snag this freebie by clicking the picture or visiting my freebie tab. We also started using rulers to measure to the closets inch. My kiddos thought I was kidding when I told them to get on the table and lay down. We traced one person from each math group, measured different parts of them together, then colored them in to math what they were wearing... Sammy had on a pretty stellar narwhal t-shirt today!